October 24, 2017 is to be marked with a white stone for the municipalities of the Mont Blanc massif. 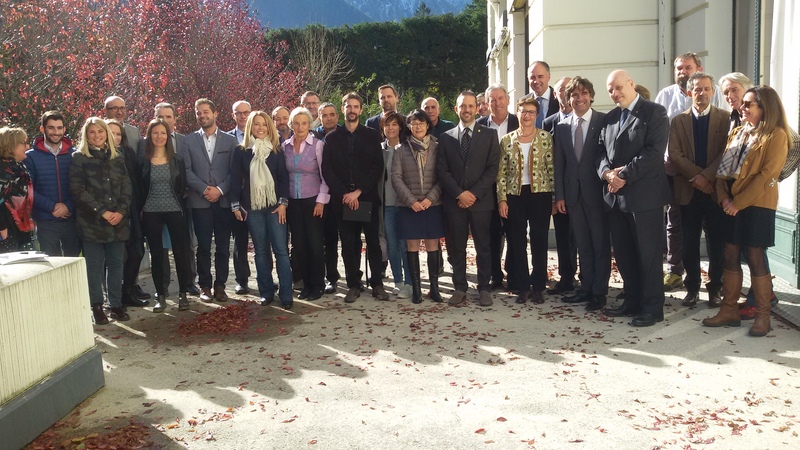 The Mont-Blanc Transfrontier Conference – composed of the local authorities of the 2 Savoie, the Autonomous Region of the Aosta Valley and the Canton of Valais, as well as elected officials and representatives of the 3 country states met in Chamonix to sign a declaration of intention engaging them on the way to the inscription of the massif to the UNESCO’s World Cultural and Natural Heritage. For the environmental protection associations, whose proMONT-BLANC (Mountain Wilderness was the main agent for the creation of this structure) is the umbrella organization for the massif, this event is the result of more than 25 years of efforts. But it is only a stepping stone as this label requires meeting specific criteria and a governance scheme generally obtained through a lengthy process, in this case it will mainly involve the local and regional authorities. A balance between economic and territorial developments for the benefit of local populations as well as the preservation of the natural and cultural heritage will by then have been finalized. 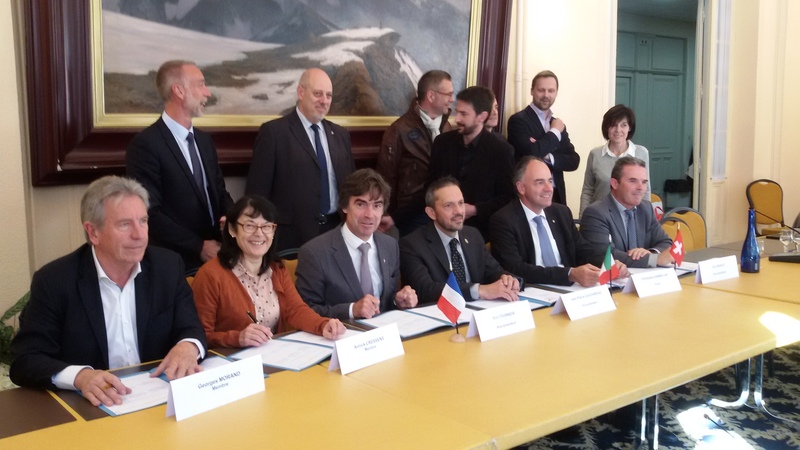 This preparatory phase, led by the “Espace Mont-Blanc” (EMB, Mont–Blanc Area), will also involve environmental associations and socio-professionals. It will require important human and financial resources and will leverage the numerous projects currently underway and/or in preparation by the EMB (these often are co-funded by Europe, the territorial communities and the neighboring states.